Step inside this charming old building to enjoy an exhibition of Beatrix Potter’s original drawings and watercolours. This year the new exhibition celebrates the 150th anniversary of the birth of Beatrix Potter and displays original artwork inspired by her love of nature. A visit here is an ideal addition to a Hill Top visit as it doesn’t just offer the chance to admire her delightful artwork but also the opportunity to learn more about Beatrix Potter’s life outside the writing career which made her famous. Learn more about Beatrix as a farmer and conservationist and how her legacy helped to keep the Lake District the place we know today. 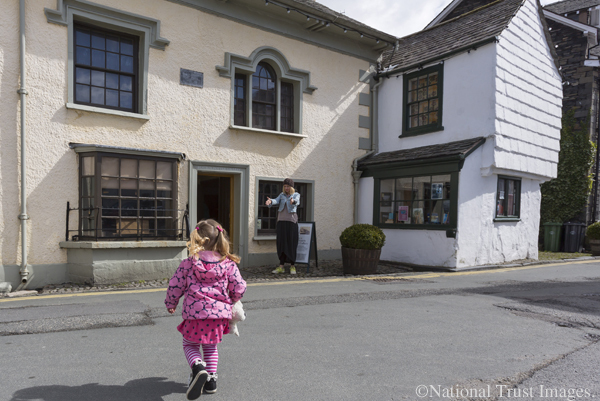 This gallery building has an interesting history too, as previously it was the office of Beatrix Potter’s husband William Heelis, and it is a rare opportunity to see inside one of Hawkshead’s quirky, old buildings.